Inkpot was born of educational requirements: I was given the assignment to brand myself for my graphic design class. Naturally I over-thought this - I wanted to say I was clever, artistic, and humorous. I wanted to be not only a graphic designer but also an illustrator. I looked to the name I had given my fledgling business, Clever Girl ink, and let it inspire my logo. I was looking for the perfect image, saying “Hey I’m good at logo design, but did you know I also do illustrations?” The logo was difficult - I needed to simplify and get my message across. My Nana was a children’s book writer, so portraying a message with a simple format was fostered in me at a young age. 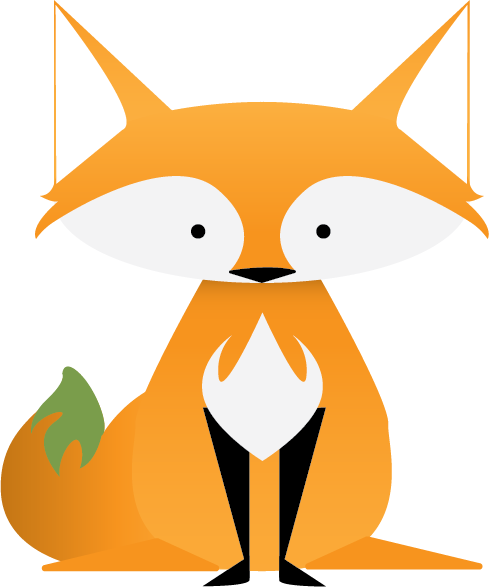 In many children’s stories and learning materials, “clever” is usually synonymous with foxes or cats. I went fox as woodland forests were very “in” at the time. Inkpot’s name came from the Clever and Ink parts of my first business name. I did a little bit of calligraphy back then and the tail was supposed to be a brush. For a while he was just the inky fox, but as more and more people asked about the character I figured he’d need a name. 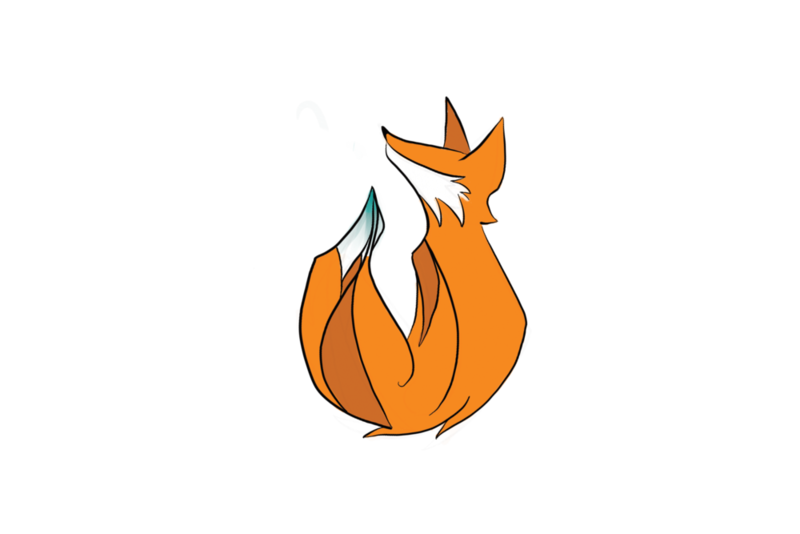 Originally there were two: Inkpot the orange fox, and Inkblot, the gray fox. I had an idea of making a comic strip about the two for a while. The gray fox would be the orange fox’s trickster twin. This came from the idea in stories and folklore that foxes where sly and mischiveous. Not really wanting to associate the idea of tricking people with my business, the idea was shelved. Inkpot’s design was revisited after three major events: I got married, the business name changed, and I started tabling at conventions. I ditched “girl” and “ink”: my husband joined the business as my partner and I had gone almost entirely digital. This is how the name Clevermoore was born - a mixture of old and new. 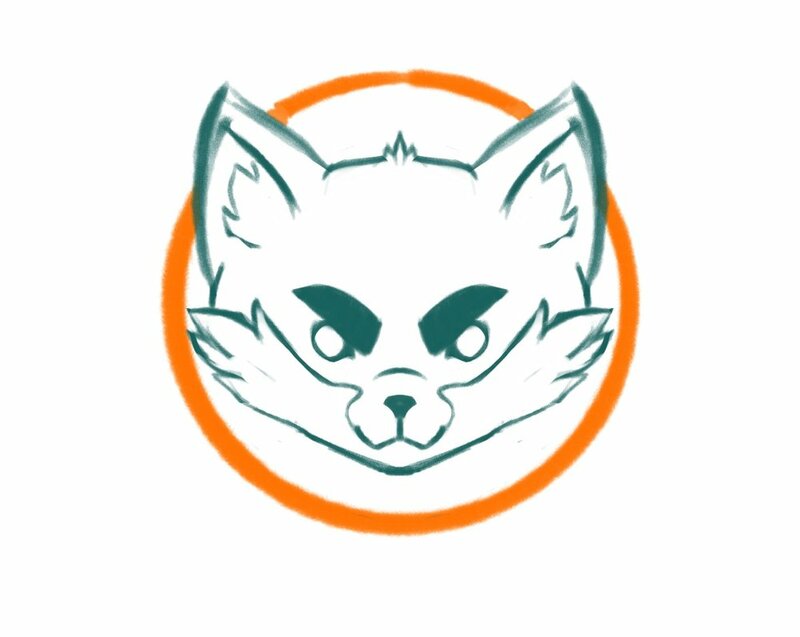 I kept “clever” in the name out of desire to retain my fox logo, as I’d grown a bit attached. Many had mentioned how one newer design looked like I had drawn him with many tails wrapped into one. When I started to redesign him for the grand rebranding, that thought stuck with me. Since I had decided to draw monsters for conventions, it seemed only fitting to make the fox slightly more monstrous as well. From there, his tail split into three tails, one for each of my family members; my Husband, (my cat) Sherlock, and myself. I’ve been asked many times if he is a Kitsune. Officially, no - he is a very rare monster fox known as a “Backend Hydra.” These are so rare they are considered to be a new species found by the clever girl at Clevermoore Projekt.